The herd is made up of 18,800 Whiteroc sows, currently producing 8,000 pigs a week, with the ultimate aim of raising them with zero antibiotics. 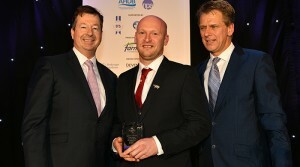 The unit produced an impressive 28.76 pigs weaned per sow per year, well above the AHDB top 10% average of 23.97, while the judges were also impressed with the business testing and investing significant sums in new technology, which included installing modern new farrowing huts, ad lib feeders and ESF. 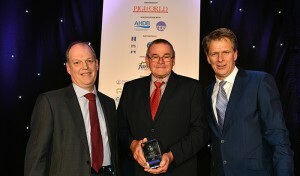 The unit was adjudged the overall winner at the fifth National Pig Awards after going head-to-head with the Indoor Pig Producer of the Year, Andrew Freemantle of A F Freemantle & Son. The Devon producer has invested in renewable technology and has purchased a woodchip boiler that provides heat for the farrowing rooms and has helped reduced the electricity bill. The 340-sow unit’s key figures from June 20918 include 33.5 weaned/sow/year, 16 born alive/litter and pre-weaning mortality at 6.7%. 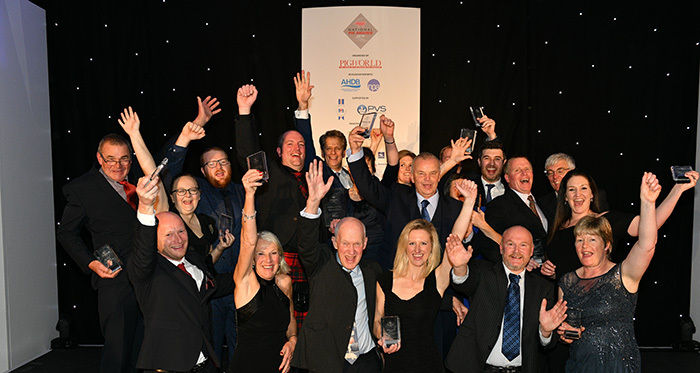 More than 400 people attended the awards, making the event the best attended National Pig Awards. 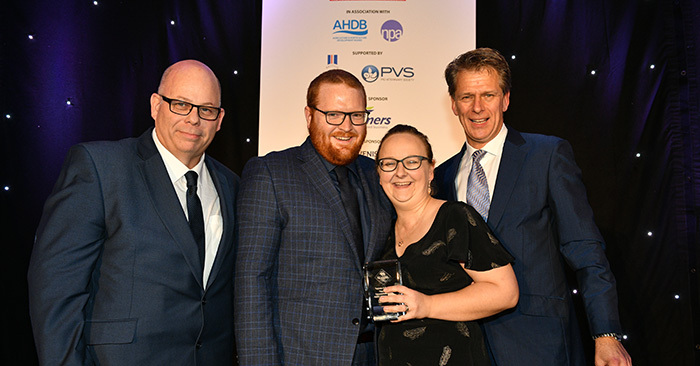 The event was hosted Andrew Castle, a well-known TV presenter and the former men’s singles UK number one, who handed out a total of 14 awards on a night that celebrates excellence and innovation in the British pig sector. 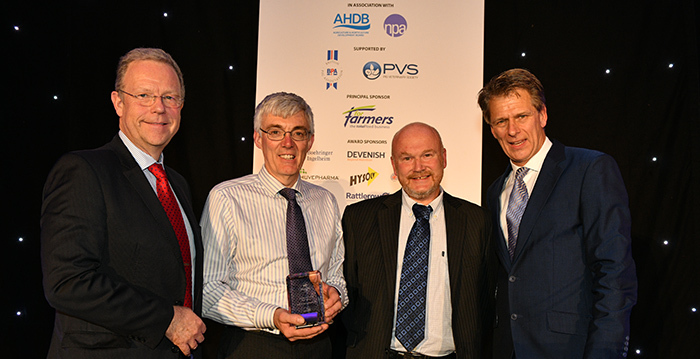 The NPA AIG Member of the Year award was presented to Rattlerow Farms, one of the largest and longest established, privately owned and entirely independent pig genetic businesses in Europe. 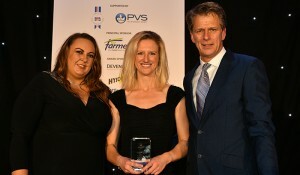 The event also raised more than £4,000, which included auction lots, donated by principal sponsor ForFarmers. 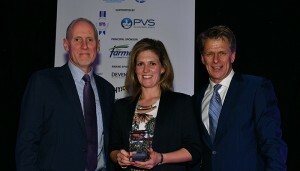 Rebecca Gladwin, a fourth-generation farmer if Hall In The Wall Farm in Cambridgeshire, has been running a 1,050 pig place finishing unit on an 850-acre arable farm for the last three and a half years. She had no prior experience with pigs but assisted brother William with the day-to-day routine from day one. By July 2015, Rebecca was managing the unit proving more than capable. Rebecca impressed the judges with DLWG of 840.152g/day above the AHDB top 10% average of 698, for figures from February 2018. From Gloucestershire, this is a farrow-to-finish operation with 380 sows, which produce around 10,000 finished pigs/year. In 2017, the unit saw an increase in the weaning rate from 13.6 to 14.5 pigs/ litter and pigs/weaned/sow per year to 29.1, compared with 28 a year ago. 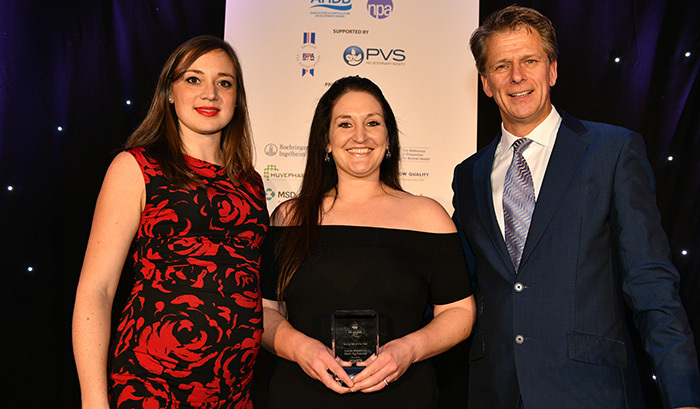 Judges were impressed with the great productivity improvements Sophie has made to the business, changing to a five-week batch system and reviewing her approach to health management in co-operation with her vet. Jamie works on Rattlerow’s Hill House Farm in Suffolk. The unit is a 660 sow commercial, indoor unit, producing 35kg weaners. The farm works on a three-week batch system, receiving 20 replacement gilts from a separate gilt grow out every three weeks to ensure suitable parity profiles. Jamie has increased the numbers reared by 0.5 pigs/sow, equating to around 700 pigs per year. Other key figures include 30.5 pigs reared/sow/year, 13.54 average weight at weaning of 7.5kg. Judges highlighted that in the five years that he has worked for Rattlerow, he has reduced piglet mortality from 12.7% down to 5.6%. 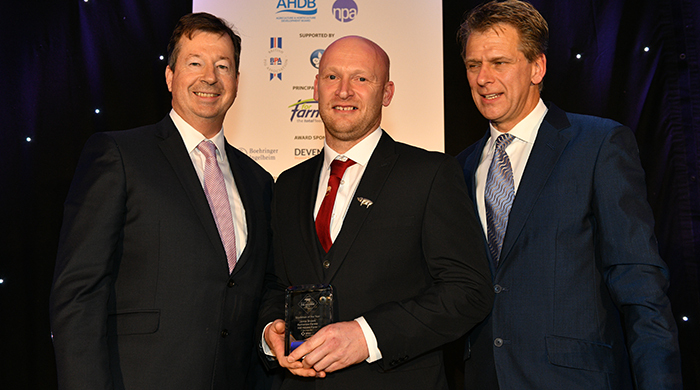 A&B Leamon & Sons is a family-owned and run farm in Essex, with 330 breeding sows, and operates on a farrowing-to-finish basis with indoor herd accommodation. Husband and wife team Thomas and Cassandra Mapes work on a job-share basis. Training has formed the basis of Thomas and Cassandra’s pig-farming career and remains an on-going priority. 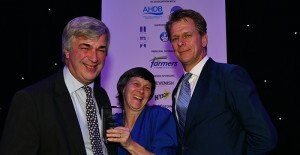 Reg Hood manages an 800 sow outdoor breeding herd for Norfolk Free Range, east of King’s Lynn. The herd is single parity, with gilts coming from Norfolk Free Range’s own gilt production unit. Judges said that Reg is one of the key factors in motivating and progressing staff at Norfolk Free Range. His employers are currently promoting Reg to running two units totalling 2,500 sows. Heath House is a collection of old converted buildings, near Norwich, which John Dunning has greatly improved upon since taking over the site from his father. The site takes in piglets at 7kg and finishes them at 110kg on an all in, all out, straw production system. 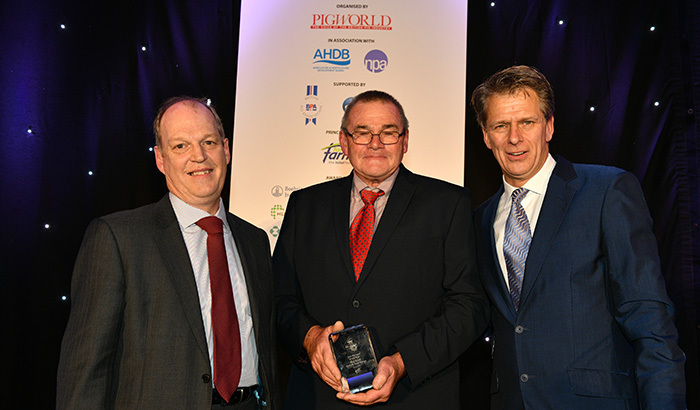 Judges praised John’s meticulous attention to detail and dedication to the pigs in care, which are supported by the impressive production figures he achieves. Primrose Herd, based in Cornwall, has 25 sows and boars free ranging on the farm, bred outside, although this is dependent on the weather and health problems. A new shed was completed 12 months ago, which means it can now accommodate the majority of pigs inside if needed. Generally, the business has 250 finishers at any one time. 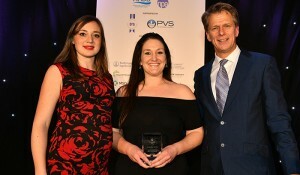 Judges said that the company’s focus on marketing is key to its success with gteat coverage locally, regionally and nationally. Louise Blenkhorn, who qualified in 2010, comes from a pig farming background. She started working for a mixed animal practice after university and decided that she wanted to pursue a career in the pig industry. 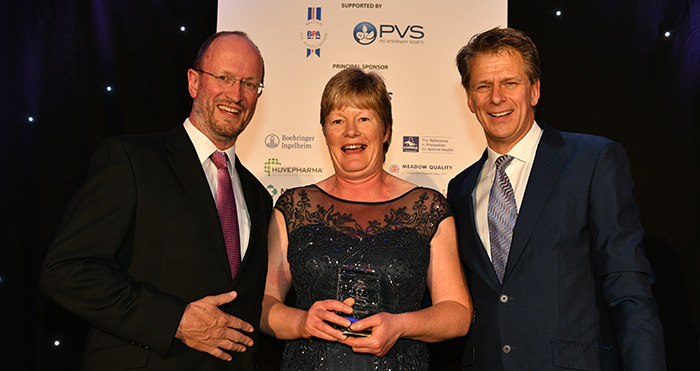 Since then, she has been working for the Garth Pig Practice in East Yorkshire, where she puts her knowledge and passion to the service of the producers. East Sussex breeders Clare and Robin Wilson, of Oaklands Pigs, have been farming pigs since taking on their 60-acre farm in 1997, switching to rare breed pedigree stock in 2005. While Saddlebacks are their main breed today, the farm is currently home to seven different breeds and has seen a total of 12 pedigree breeds over the years. All sows live outside in mixed groups of ages and breeds and farrow loose in straw pens. Colin Stone is breeding farms manager at Norfolk-based Wayland Farms, a large-scale producer of outdoor reared pigs. The business supplies the premium pork retail market and all meat is antibiotic-free. Colin said that Waylands takes an industry leading approach to reducing antibiotic use. He said that the business manages the farms to optimise animal welfare and biosecurity. All of the awards, except the NPA AIG award, were decided by a panel of judges in a thorough process. Head judge Stewart Houston was impressed by the quality of this year’s entries. He said: “The quality and enthusiasm of the entrants continues to amaze the judges. 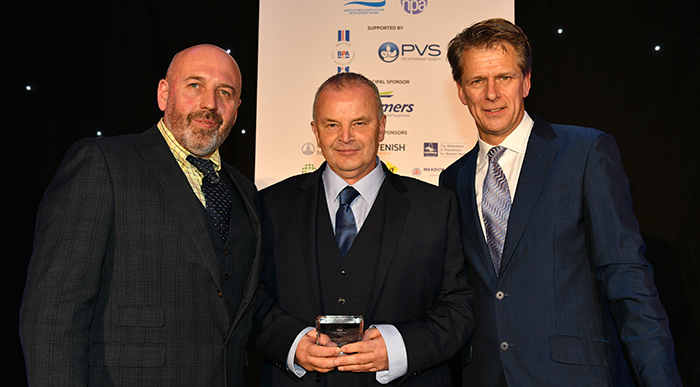 The young trainees continue to impress to the extent that this year’s outstanding entry was pushed so hard, we’ve awarded a Highly Commended, such was the level of competition. “The new Young Vet of the Year award was hotly contested and we were impressed with the amount of effort entrants across the piece had put in to reducing antimicrobial use, reflected in the level of investment in new grower and finisher accommodation. 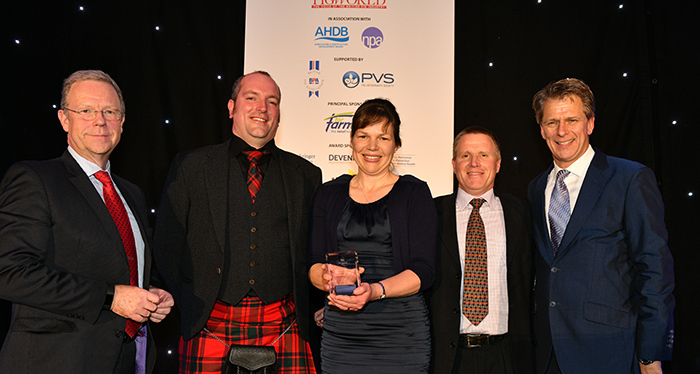 “We travelled from the north of Scotland to Exeter and north Norfolk to ensure that the top award of Pig Producer of the Year went to a worthy winner. 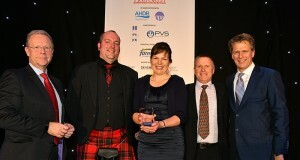 We were again impressed by the breadth of talent in our industry.